CLOSE on a half-century ago, in 1962, Wynns Coonawarra Estate released a Riesling from a region that was considered then, and still is today, one of Australia's finest red wine producing areas. Certainly it was one in which you'd wonder why anyone would bother with whites, when the superb quality of the reds from here was so rewarding both for consumers and makers. But that Wynns' 1962 Coonawarra Riesling was an immediate hit with fans of the variety, and ever since has proven to be one of Australia's most consistent, value-for-money white wines. The recently-released 2010 Riesling that was amongst this year's "Wynnsday" releases – an annual selection of exceptional new vintage wines – has once again lived up to the reputation of this label: a wonderfully aromatic wine that's quite soft in style, and which has delightful lemon sherbet and citrus blossom aromas, lemon and lime flavours, lively acidity and a slightly chalky minerality. At $18.99 its value and quality buying to enjoy with pan-fried salmon fillets and Asian stir-fried vegies. ONE FOR LUNCH: A wine that's gaining popularity here is Chambourcin, a hybrid created over fifty years ago by French biochemist Joannes Seyve, and whose actual lineage of French and American stock we shall never know, as Mr Seyve took that secret to the grave with him in 1966. Frog Rock Wines at Mudgee in NSW began making really outstanding Chambourcin wines in 1999 and its latest release, the 2008, is full of spicy plum and ripe mulberry flavours, and nicely balanced acidity and tannins. A wine for hearty winter dining, pay $25 and match it with casseroled lamb shanks and buttered whole baby potatoes. IF you enjoy seafood, you love Riesling, and you find nothing nicer than putting the two together, a wine you are going to have to write away for – or give them a call – is the delightfully-named Good Catholic Girl 2009 Teresa Riesling from South Australia's Clare Valley. This is because just 107 cases were made of this drop that was handcrafted by winemaker (and self-titled company Head Girl,) Julie Barry – daughter of the late and legendary Jim Barry. Julie sourced fruit from the vineyards of grower Barry Marsson for two reasons: his vineyards are in the renowned Riesling town of Watervale, and she reckons he's a good Catholic boy. Her wine is a stunner of mouth-watering proportions: ripe apple dominated by classic lime-tinged fruit and a zesty, acid finish are all to the fore here, and put the nostrils near the glass and it's all about apples and limes again, plus lemons and nectarines. You can order direct from Julie on 0419 822 909 or email her at enquiry@goodcatholicgirl.com.au Pay $25 a bottle (plus freight) and as she suggests, drizzle a small amount chilled over fresh-shucked oysters in the shell, sipping a glass or three as well as you go along. If you don't enjoy that, go stand in the naughty corner. The Head Girl said so. ONE FOR LUNCH: AFTER successfully selling out of the whole production run of their 2009 Boat Shed Nebbiolo Rosé, Adelaide Hills maker Longview Vineyard has released their 2010 version of this wine – and if anything its as good as, if not better, than the sell-out 2009. A wine of moreish mouth-tingling acid, cherry and anise flavours, this is one to enjoy with barramundi oven-baked in foil with olive oil, garlic, parsley, shallots and white wine, and served with boiled baby potatoes; pay $18.99. $540 and 1 point less than Grange! In the recent The Big Red Wine Book, the new Tintilla Estate Patriarch Syrah 2007, was awarded 94 points. Just one point less than Grange, despite being only $60 and just the second vintage made of the Tintilla flagship red! Of course it's not just the second vintage of the variety shiraz from Tintilla, as Robert and James Lusby have been carefully nurturing their shiraz vines and creating their version of the iconic Hunter Valley Shiraz for over 14 years now. It was back in 2005 that the Lusby family considered the fruit from their shiraz vines to be so exceptional that they kept a small batch of 90 cases aside and made a stellar version, only to be released in the very best vintages. 2007 was seen as just a good a vintage and again a Patriarch Syrah was produced, this time 100 cases are now available. The name 'Patriarch' was given to this wine to symbolize its pedigree and help set it apart from the other wines. James Lusby also comments, "The name is also a nod towards Dad's family tradition of naming his wines after his children, it was only fitting that the flagship red should be named after him. We have also used the traditional name 'Syrah' as a mark of respect to the early Hunter pioneers who recognized its affinity with the Hunter soil and climate." "A vintage like 2007 doesn't come along every year; the drought and sunshine led to optimal fruit conditions, outstanding concentrated fruit flavours and the opportunity to make a wine with a great life expectancy. The wine has lived up to our expectations; concentrated and intense flavours with well integrated oak, smooth like a classic Hunter with great line and length." The end result was achieved by transferring the grape must to an open fermenter for gentle hand plunging and limited pump over. 30% was then racked to new French and American oak barrels to complete fermentation, with the remaining being passed through a basket press to wood for malolatic fermentation and subsequent ageing. After the first year the best three barrels were selected for extended ageing and racked into new French oak for a second year. Secure some of the very small quantity produced now, before it disappears and save it for a special occasion…say Fathers Day on Sunday 5th September !? A STELLAR vintage in the Hunter Valley in 2007 has resulted in a stellar wine for McWilliam's with one of their flagship reds, the Mount Pleasant Maurice O'Shea Shiraz from that outstanding year. First created in 1987 in honour of the legendary Mount Pleasant founder and winemaker, this latest release highlights the earthy, full-flavoured fruit characteristics of Hunter Valley Shiraz and the magnificence of the extraordinary old vines from which it is made. The bulk of fruit for this 2007 came from low yielding vines on Mount Pleasant's Old Hill Vineyard that was first planted in 1880 by the King family, and bought by the late Maurice O'Shea in 1921; the remainder was sourced from Maurice O'Shea's Old Paddock Vineyard that he planted the same year. This is an exceptional wine from an exceptional vintage. Loaded with rich sweet-berry fruit flavours, mocha, chocolate and fine, velvety tannins, its one to linger with over a good prime rib and roast vegetables, or if you can resist the temptation to open now, to put it in the cellar for anything up to another ten or twelve years. Pay $65 for that special-occasion dinner for yourselves or with a few family and friends. ONE FOR LUNCH: AN enticing red out of New Zealand is Ant Moore's 2008 Pinot Noir from the Central Otago region. Brimming with classic Pinot Noir raspberry, cherry and supple game flavours, together with a touch of oak, this is a delightful lighter-bodied red from what was a stand-out vintage in Central Otago. At $29.95 put it on the table with corned beef (silverside,) parsley white sauce and mashed potatoes. Cumulus Estate Wines from Orange are bursting with excitement to announce this year opening weekend event, the "Cumulus Estate Wines Budburst Lunch" to be held at 12noon on Saturday 23rd October. The Cumulus Wine Week event is always a sell-out at the Orange Wine Week festivities, showcasing the regions premium fine wines, excellent food and wonderful music, and this year the theme is "Budburst"- a celebration of Spring and the beginning of the new vintage. For the first time ever, Cumulus invites you into their private vineyards for the event with a wonderful alfresco lunch prepared by Chef Josie Chapman from the Old Convent Restaurant. Josie is renowned for creating a sensational food experience using fresh regional produce in a modern Australian style. the spectacular Cumulus vines, the lunch will be a celebration of everything new, including the latest releases from the Rolling, Climbing and super-premium Cumulus ranges. This year's event is not to be missed. Orange Wine Week is now in its fifth year and is considered to be the most important consumer and wine industry event in the local Orange calendar. Wine Week is 10 days of events and activities highlighting the regions premium wines and local produce and 2010 will be a record year as for the first time over 100 registered events will showcase the scope of Orange's winemaking talent. Winemakers wishing to enter the 2011 Sydney International Wine Competition are reminded to submit their wines early or risk missing out on a chance to claim an award at one of the most consumer friendly wine competitions in the world. Entries for the 30th Sydney International Wine Competition (SIWC) close on September 17. In past years, late entrants have had their wines rejected because the 2000 cap on entries was reached prior to the deadline. The cap was introduced in 2005 to ensure the international Panel of Judges has adequate time to properly assess the wines in each of the three phases of the Competition’s judging process. SIWC founder Warren Mason says the SIWC is one of the most consumer friendly wine shows in the world. “Being selected as one of this Competition’s TOP 1OO® wines or other award winners really means something to wine lovers,” he says. “Not only does it signify a quality wine, but because our finalists are judged alongside food, when consumers select any of our award winners, they know they have a wine that will be enjoyably drinkable immediately and a great complement to dishes of similar palate weight. “Of course, we wouldn’t recommend a Fuller Bodied Dry Red Table wine be offered as an apéritif, just because it displays an SIWC bottle medallion,” he says. Again, there is an all-star judging panel in place for the Competition’s 30th Birthday awards. It includes six Masters of Wine and seven international judges who are carefully chosen to represent not only Australian winelovers palates but also the palate preferences of three of Australia’s main export markets - the UK, Asia and New Zealand. Mr Mason says the calibre of our Judges gives winelovers added confidence in selecting wines from the TOP 1OO® list. The Judges will gather in late October 2010 to judge the 2,000 entries, which will be split, during the judging process, into palate weight classes and re-judged alongside similarly weighted food dishes. The resulting TOP 1OO®, Blue-Gold and Highly Commended wines provide consumers with a benchmark for planning their dining table wines for the following year. Trophy and Award winners will be announced at a gala Dégustation Banquet on 26 February 2011, where Guest of Honour and Keynote Speaker James Halliday AM, will introduce the 2011 TOP 1OO® wines. The award-winning Country Guesthouse Schönegg in Murrumbateman has just announced some deliciously exciting new dining experiences for its guests in time for Spring. “Our new dining experiences include a truly indulgent ‘champagne breakfast’ and sophisticated dining packages in partnership with the region’s top restaurants”, said host, Richard Everson, who is hanging up his apron after seven years in the Schönegg kitchen to return to the corporate world. “Whilst we are ceasing operation of our licensed restaurant, Evelyn and I are keen to ensure Schönegg remains as popular as ever with lovers of fine food and wine,” he continued. Breakfast, included in the tariff, is now an even more elegant affair. In true European style, a selection of cold meats and cheeses and sparkling wine have been added to the already generous breakfast buffet, and contemporary dishes join traditional favourites on the a la carte breakfast menu. Also new, a lunch and dinner menu of cold platters has been designed for guests who opt to enjoy good food without leaving the property. The range includes seafood, gourmet and sweet treats. “And for those after a sophisticated night of fine dining, we offer dinner packages including transfers to and from three of the region’s finest restaurants – Flint in the Vines, Poachers Pantry Smokehouse Cafe and Grazing, Gundaroo. Packages, including transfers, start from just $55 per person. To travel in style, dinner transfers in a stretch Mercedes with a local limo service are also available for an additional cost,” Richard said. Other changes at Schönegg include a revamp of the website – a move which will ensure those contemplating a visit are aware of all that the region has on offer. Visitors will find a wealth of information on ‘Food and Wine’, ‘Active Lifestyle’ and ‘Wellbeing and Relaxation.” In addition to booking a dining package, guests can request a Hot Rock Massage at the award-winning Geranium House Day Spa or an in-room beauty treatment or massage at Schönegg. “One thing that definitely isn’t changing is our commitment to making a guest’s visit to Schönegg an experience that nourishes body, heart and soul long after their visit is complete”, Richard concluded. OUR cooler months usually see a jump in sales of red wines as we go for heavier "comfort foods," and whether we like it or not it's usually at the cost of some extra kilojoules both from the food and the wine. It's their McWilliam's 2009 Balance Shiraz, a lighter- to medium-bodied drop that's still lively and moreish with blood plum and red currant flavours, and with a touch of Shiraz spiciness and a tannin finish. 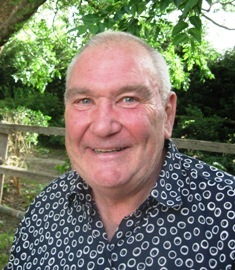 Winemaker Jim Brayne says Shiraz is our most-loved red wine style and always a popular winter choice, adding: "We believe this wine fulfils a purpose for those mindful of putting on a bit of extra weight over winter, by providing a lower alcohol and lower calorie option, whilst still being an enjoyable drop." Pay just $16.99 and enjoy with a beef or lamb casserole knowing that at least the wine's a third lower in kilojoules. ONE FOR LUNCH: WESTERN Australia's Houghton have released their 2009 Wisdom Pemberton Chardonnay, the ninth vintage of this very popular wine that's made from fruit hand-picked from exceptional 20 years old vines. Striking peach and lemon citrus aromas follow through on the palate, and there's a nice creamy complexity and fine acid finish that will tempt the taste buds to ask for more. Pay $32 and match with seared scallops or freshly shucked oysters. And while it's made for drinking now, another 3 to 5 years in the cellar will see it develop nicely with enhanced complexity for even further enjoyment. What makes the Ant Moore wines different? What makes them stand out from the rest? It could be the label, which is about as colourful as the personality of the winemaker himself, Ant Moore. But we all know not to judge a book by its cover - the answer is in the bottle, you'll just have to try it and see. Carefully handpicked and crafted in Alexandra in Central Otago, the Ant Moore Pinot Noir 2008 (rrp $29.95) is a single vineyard wine that perfectly showcases the fruit characters that make Pinot a recognisable and instant success with most but also displays the intense richness and backbone of the Central Otago region which is slightly unusual for Pinot Noir. "This wine is really drinking well, and is only going to get better" says Ant Moore, owner and winemaker of Ant Moore wines. "Last year I was a bit scared as it looked a little young, tight and oaky. But over time it has become much more integrated, showing the unique layers and flavours this region can achieve, and which have even more potential as the wine ages further". Being a young winemaker, Ant fortunately has time on his side and with this in mind he has started off the three year process of converting several of his vineyards in New Zealand to be certified organic. This move to sustainable wine making is not only as a result of the increasing awareness and demand for organically grown and made wines, but is something Ant truly believes in. "I feel that there is a growing demand in this market for wines that are not just organic, but are actually a quality product that you would buy alongside any other wine" says Ant. The move towards sustainable winemaking commenced just prior to the 2008 vintage, which in itself was an exceptional growing season in Central Otago, so this wine has benefited two fold. Optimal fruit ripeness, low yielding vineyards and 100% oak aging (in a selection of aged barrels from a range of coopers) has produced a Pinot Noir of exceptional quality and balance given its price point of just $29.95. NO buff worthy of their wine glass should be looking to the coming twelve to eighteen months without a copy behind the bar or in the cellar of Matt Skinner's informative and entertaining Wine Guide 2011. A writer for some of our leading food and wine magazines, consultant to wine buyers and consumers around the world, and a well-known wine educator, Matt's book is an easy-to-follow guide to some 250 Australian wines for drinking now or for cellaring, and to suit all budgets and occasions. He also gives pen-pictures of major wine grape varieties, and introduces readers to some varieties that have been around for centuries overseas, but are new to many of us as Aussie winemakers start looking seriously at them. But its his reviews that make his little tome worth every cent of its $24.95 price tag: no matter whether you are into fizzes, pinks, whites, reds, sweet, light-alcohol, crisp, delicate or full-bodied wines, he has an easy-to-follow appraisal with tasting notes, a photo of the bottle – and importantly, with many of these 250 wines a recommended food match to go with it. And he should know what he's talking about with the latter: we was Jamie Oliver's wine expert for his Fifteen restaurants, and Editor of the Wine Section of the Jamie Oliver website. 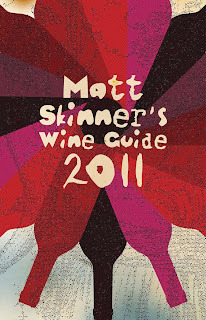 Grab a copy of Matt's Wine Guide 2011 for your-self – and a few for the stockings of wine-buff rels or mates come Christmas. ONE FOR LUNCH: NUGAN Estate have just released their 2008 McLaren Vale Shiraz that's been wowing show judges here and internationally, and despite all the accolades is selling for a very reasonably, good-value $22.95. Its a wine whose bouquet literally jumps out of the glass with beautiful aromas of cherry and plum, dark chocolate, vanillan and all-spice, with follow-through on the palate of concentrated juicy dark plum, chocolate, black pepper and silky tannins. Enjoy at this price with a hearty Osso Bucco.